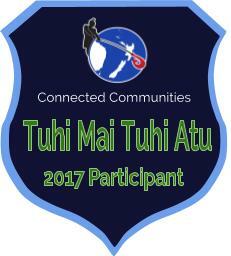 This is a presentation for our Tuhi Mai, Tuhi Atu buddies at Papakura Central School and Room 3 at Wesley Primary School. We have great learning to share with you this year and are looking forward to see what you are doing. 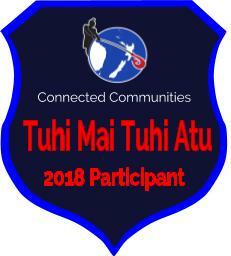 Welcome to Tuhi Mai Tuhi Atu for 2018. I'm James, and although I don't officially work with Manaiakalani any more, I still really enjoy dropping in to class blogs and sharing in the learning. What an amazing way to introduce yourselves and share information. I love how personal each slide is and the way some of you have chosen really high contrast text to use. The slides really pop! I'm really looking forward to seeing how you get on throughout the year. My name is Toeumu, and i am a student in room 3 from Wesley Primary school. I really like how you guys have introduced yourself´s, it is really interesting. This reminds me when we posted on our class blog slides by introducing ourselfs. Maybe next time you could make your writing clear enough so it is easy to read. Hi! my name is Anaseini (ana). i liked how you told us some things about your class. it reminded me of when my class did one to! maybe next time make the font a bit brighter or just the background brighter to! May be add a lit to bit of images other wise it was great. My name is Toeumu and i am a student in room 3 Wesley Primary School. I like how you have introduced your self. This reminds me of when i did this on our class blog. Maybe next time you could make your writing clearer so it is easy to read.